CastleCMS (castlecms.io) is an enhanced distribution of Plone (plone.com, plone.org), the robust open-source web content management system (CMS) that has been actively developed since 2001. Created and maintained by Wildcard Corp. (wildcardcorp.com), CastleCMS builds on Plone’s strengths, security and suitability for large-scale websites, with new features based on Wildcard’s ten years of experience building and hosting websites for large institutional clients. Wildcard’s clients demand software that meets the highest security standards, not only because they take their own data and systems security seriously, but also because some of them are on the front lines of the cybersecurity war. For Wildcard’s website projects, whether public sites or intranets and portals, Wildcard has historically chosen Plone as the basis of its deployments because of its continually evolving feature set and rock-solid reliability over almost twenty years. Based on Wildcard’s multiple generations of successful Plone deployments, which include custom features and an advanced production server and network configurations, Wildcard has consolidated it into a uniquely integrated, enhanced distribution of Plone, which we’ve named CastleCMS. For more information on how CastleCMS is serious about security, see our CastleCMS Enhanced Website Security blog post. With a decade of website deployment and support experience, including the feedback from hundreds of content editors who manage very large sites, Wildcard distilled this knowledge into these added CastleCMS features. Simplified, reorganized toolbars clearly expose all the functions available to editors, reducing the need for training and making truly easy “feature discovery” possible for new users. 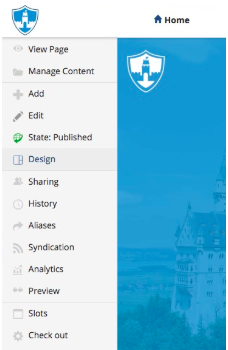 CastleCMS includes the powerful “Manage content” view that not only exposes a site’s entire contents, including its folders and nested folder structures, but also lets editors search for, filter, select, and manipulate content (rearrange, tag, edit, transition, delete, rename, move, copy/paste), either individually or in batches. When editors initiate batch operations (such as mass copy/paste, rename, move, and delete), they don’t need to wait for the processing to complete; CastleCMS sends the tasks to a queuing system that runs them in the background and notifies them by email when the operations are done. Content editors can add multiple content items quickly, anywhere in the site, with minimal clicks and navigation. CastleCMS stores files, images, videos, and audio clips in centralized repositories, giving editors instant access to all content uploaded. Say goodbye to having to search the site for items to link to and wondering if an image or file has already been uploaded! 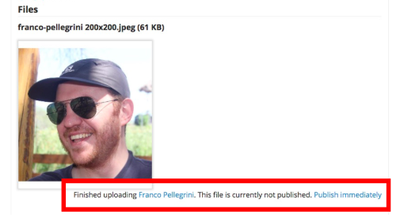 CastleCMS even includes “deduplication”, which warns you if you try to upload something that is already in the site. 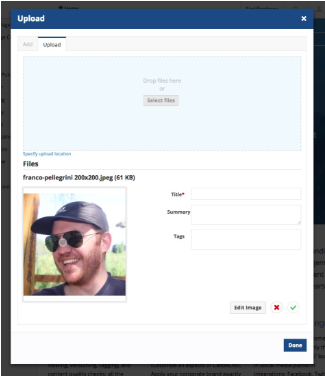 CastleCMS provides image editing tools right when you need them: image previews are displayed immediately on upload, with fields for entering metadata and editing tools (cropping, resizing, orientation, focal point setting). Immediate, actionable feedback: content editors see warnings about items that haven’t yet been published, and by clicking on those warnings, they can publish the items immediately. Check-in/check-out feature lets an editor change publicly visible content quietly behind the scenes, by checking out a copy, revising the copy, and checking it in, only then replacing the published item. Any publicly visible CastleCMS website will have the highest organic search ranking results, thanks to the high quality, semantic HTML it generates, tuned to work with major search engines such as Google. Auto-generated RSS, iTunes, and other feeds, for folders, collections, and even search results on your CastleCMS site make it possible for other websites, blogs, and apps (such as If This Then That, ifttt.com) to see and act on your site content. See this complete list of the benefits of using open source software. If these features sound appealing to you, contact our Business Development Specialist, Hannah, at (715) 869 - 3440 for more information or to schedule a demo.